Every business has the same goal – to experience growth. Having to hire new employees is an exciting prospect and a great indicator that growth is happening. However, with growth comes the associated responsibilities. It is such a challenge to find the right talent and skilled professionals that suit your company, but then the next challenge is figuring out how to keep them. Retaining your workers begins before they are even hired. What does that mean? 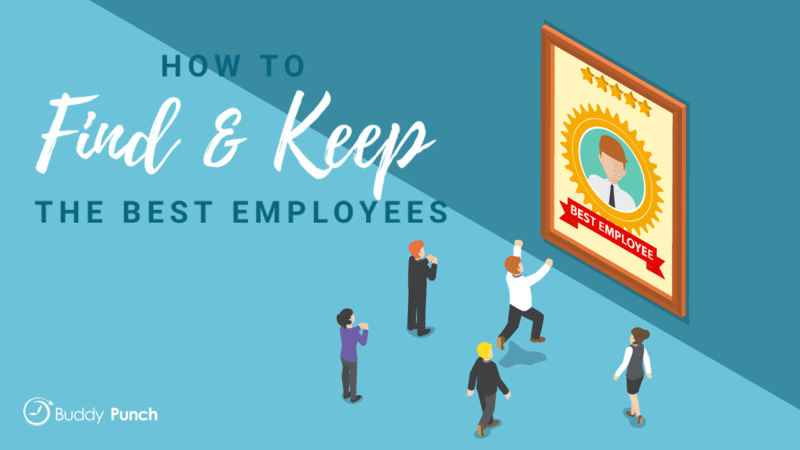 Here are a few ideas that will help you find and keep your best employees. Small businesses cannot afford to waste either time or money. That is why it is important to hire professionals that can assist you in gaining and retaining the right workers for your specific business. One significant advantage of hiring professionals to help you is that they have an outside perspective of your business. Since they have no personal ties or underlying loyalties that might influence them one way or another, they can “see the big picture.” This helps in several ways. First of all, outside expertise is beneficial because they can find the right person for the right job based on need, not personal feelings. One of the most common mistakes business owners make is hiring staff on their own. More often than not, they tend to hire employees who are very similar to who they are or who have similar personalities, not necessarily the person who will best fill the position. Finding the right talent to begin with makes the task of retaining them much easier in the long run. Even when done correctly, hiring employees is an expensive process. According to a 2016 survey conducted by The Society of Human Resources Management (SHRM), it takes an average of thirty-six days to fill a vacant job position. Astonishingly, the average cost to hire one new employee increased $300 from 2015’s average to a whopping $4,425. If you must make a choice between an employee with great character or one with great skills, choose the candidate with great character. Of course, skilled workers cannot be underestimated, and in a perfect world, a business owner would never have to make the hard choice of choosing character over skill, or vice versa. However, it is becoming increasingly difficult to find workers with character that is equal their skills. The worker with the right type of character will grow your business. The worker with the right skill but poor character will only be interested in “growing” or furthering themselves. One day during the 1970s at a California Frito-Lay plant, janitor Richard Montañez saw a company video recorded by the company’s CEO at the time. In the video, CEO Roger Enrico said, “We want every worker in this company to act like an owner. Make a difference. You belong to this company, so make it better.” Being a conscientious employee, Montañez was determined to make a difference. One day, he found a batch of unflavored Cheetos and had an idea. He took the batch home, and after some experimentations, he pitched a new flavor idea to the company. The rest is history – Flamin’ Hot Cheetos. Montañez was rightfully promoted.